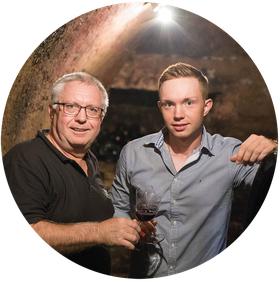 The winery, founded in 1945, is today managed by the third generation. Our family has always devoted itself to winegrowing. With our passion for viniculture and our continuous pursuit of the highest quality, we deliver excellent wines to our customers. Our wine cellar can be used for celebrations and wine seminars. Please feel free to visit our onlineshop and order some of our excellent wines.